Sahel is the region separating the Sahara desert from the most fertile grounds of the ‘Black Africa’, a long semi-desert strip stretching from the Atlantic to the Red Sea. 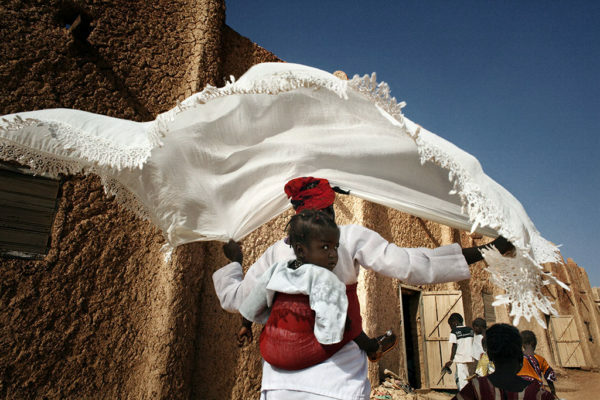 Sahel has the second highest population growth rate in the world. According to the United Nations, it is estimated that its population will exceed 93 million inhabitants in 2050. 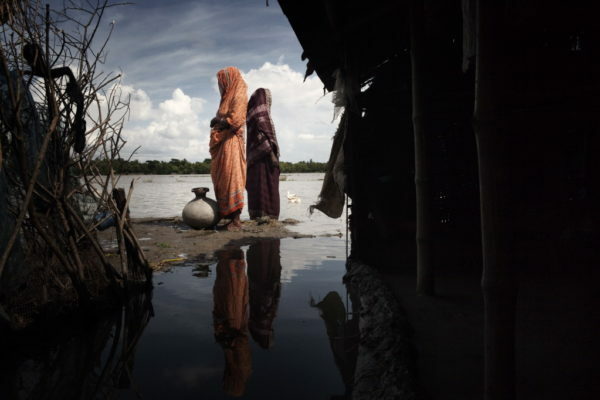 Climate change continues to significantly affect this area, causing a decrease in agriculture, a change in the flowing of rivers and watercourses and their continuous silting up, the intensification of desertification, and the massive movement of populations as climate refugees. 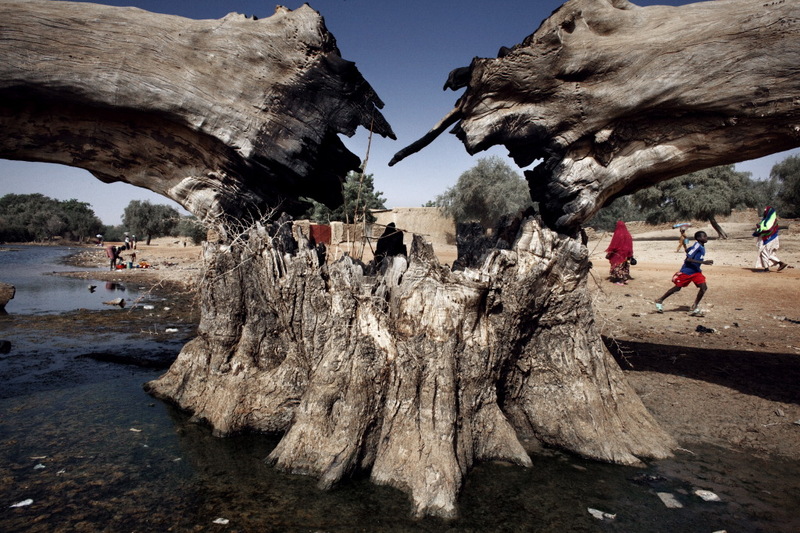 Presently this region is one of the most affected by the problem of desertification, which shall not be seen only as an ecological problem but also as a social one, considering that it generates internal riots among inhabitants, increases migration, and it is home to approximately fifty million people who are at risk of survival. (text by Luca Catalano Gonzaga). 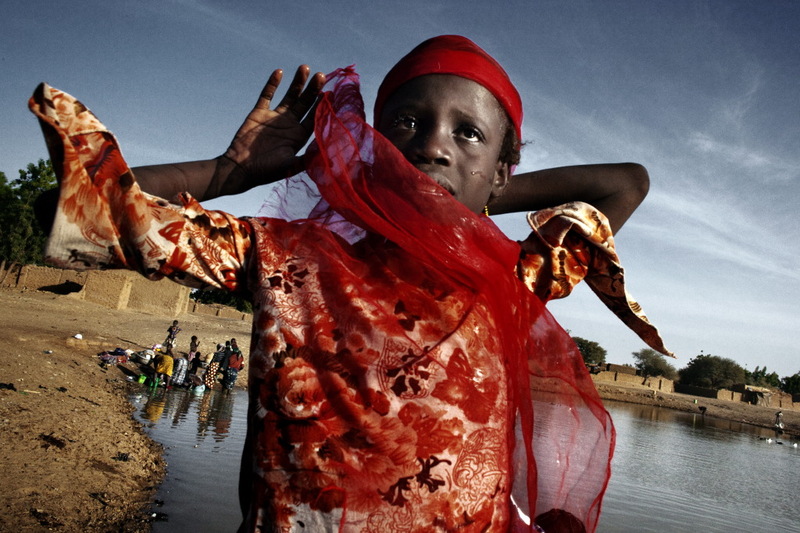 Sahel, Burkina Faso. 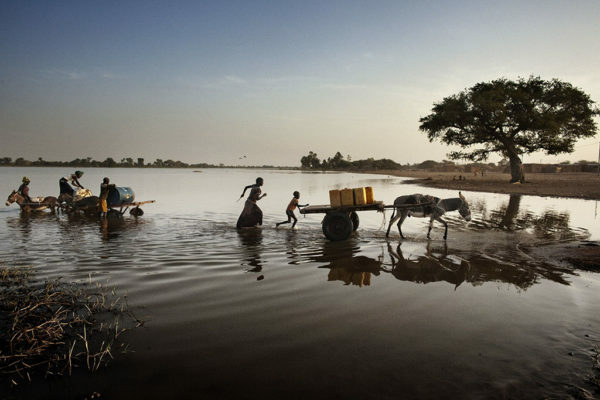 The d’Oursi Sea is a very shallow lake in the Oudalan region in the North of Burkina Faso, on which many communities rely for water supply. 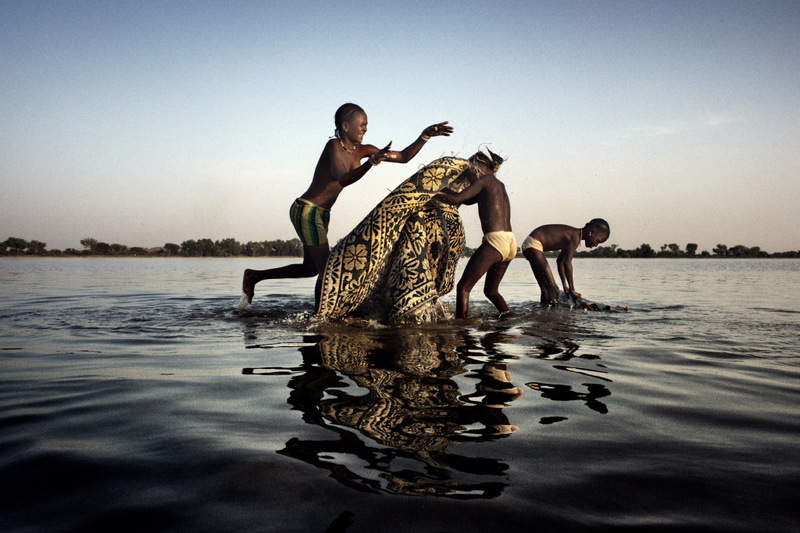 Sahel, Burkina Faso. A dead tree trunk near the village of Markoye. Sahel, Burkina Faso. 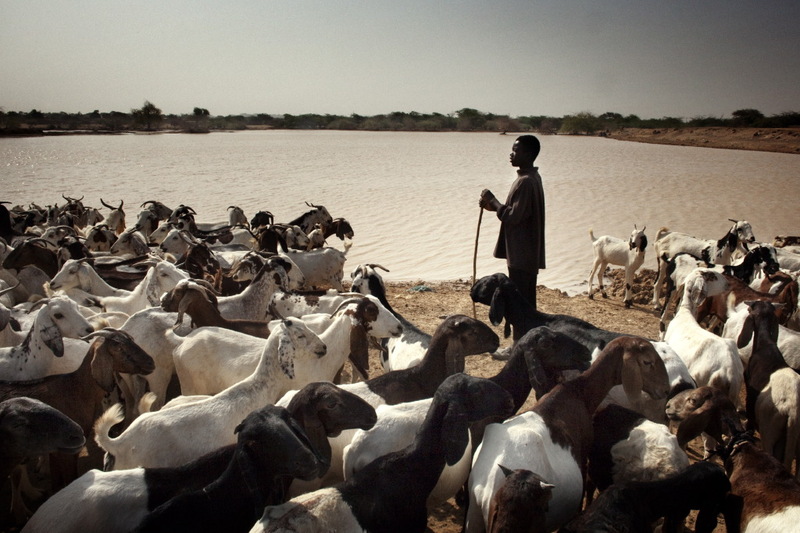 A shepherd grazing goats near a water puddle which has not completely dried out, near the village Gorom Gorom. 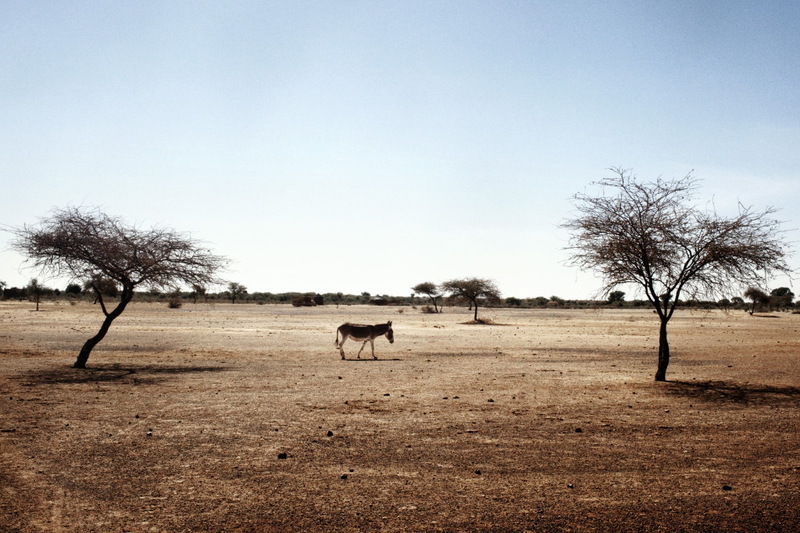 A cause of the rising of the temperature, the Sahel region is increasingly affected by desertification. Sahel, Burkina Faso. A shepherd with his flock near the village of Markoye, in the Oudalan region. 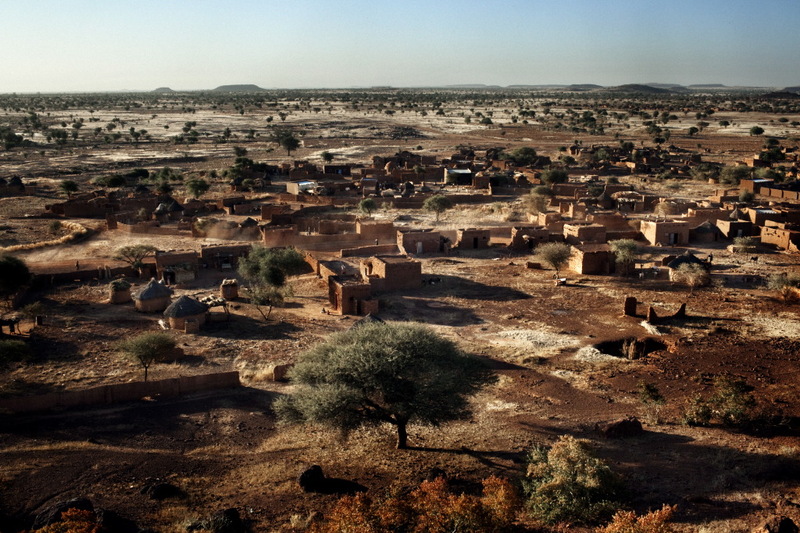 Sahel, Burkina Faso. 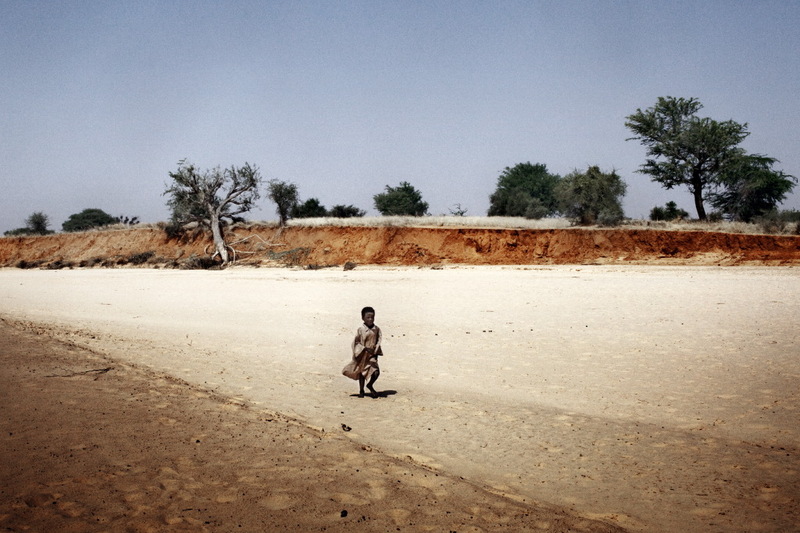 A child walking in the bed of the dried up river on the road for the village of Gandefabou. 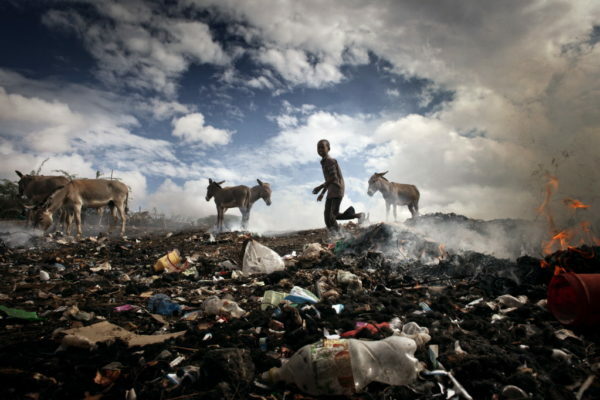 The population of this area is constantly increasing and the number of children is very high. 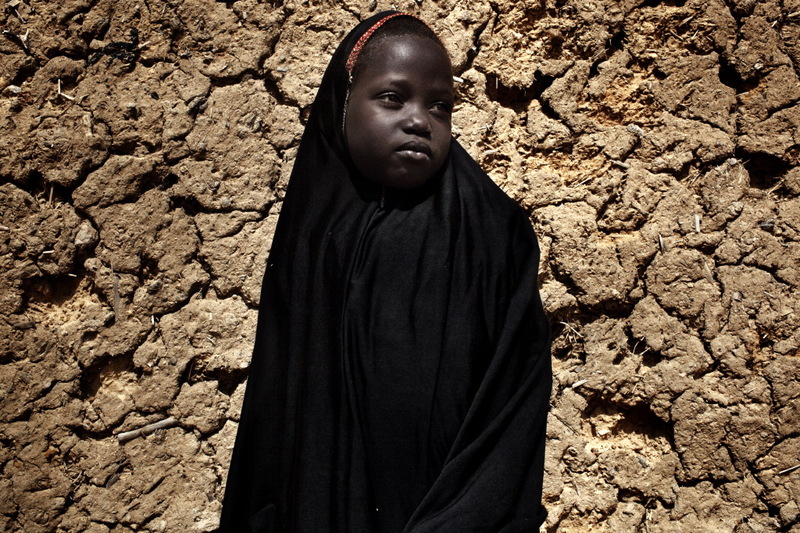 They are the main victims of climate change and desertification in the Sahel Region. Sahel, Burkina Faso. 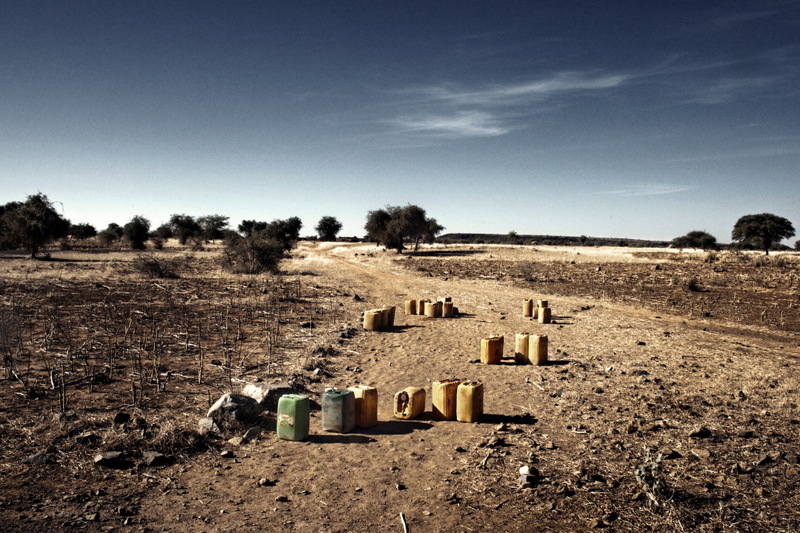 The area around the village of Bani, increasingly affected by desertification. Sahel, Burkina Faso. Water containers along the way to the village of Bani. Sahel, Burkina Faso. 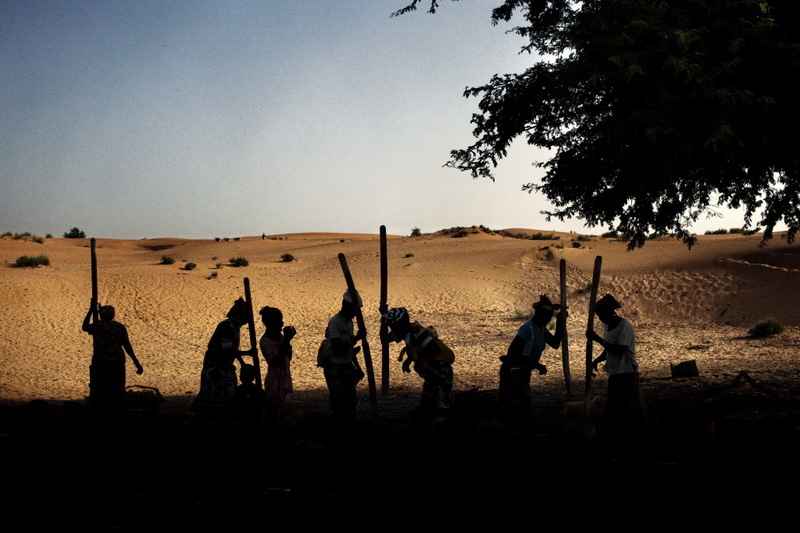 Women who take water from a well, along the road to the village of Bani. Sahel, Burkina Faso. 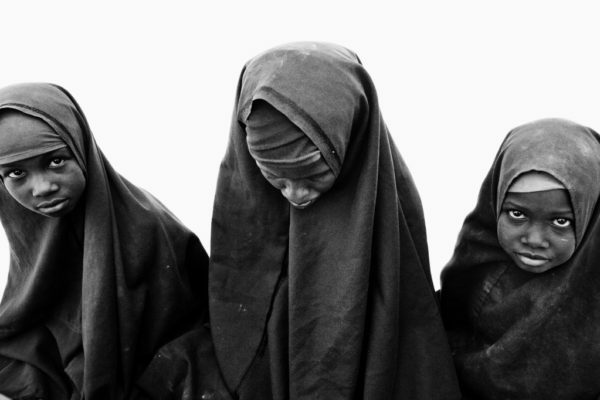 A group of women treading the yams. Yam flour is a widely used food in Burkina Faso. Sahel is a long semi-desert strip stretching from the Atlantic Ocean to the Red Sea. 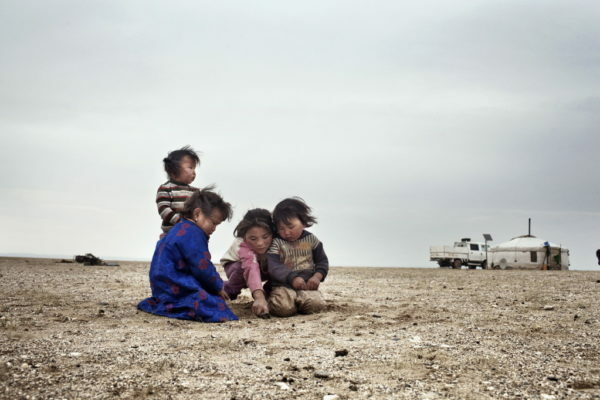 Climate changes, affecting this area, cause an intensification of desertification and an increase of poverty. 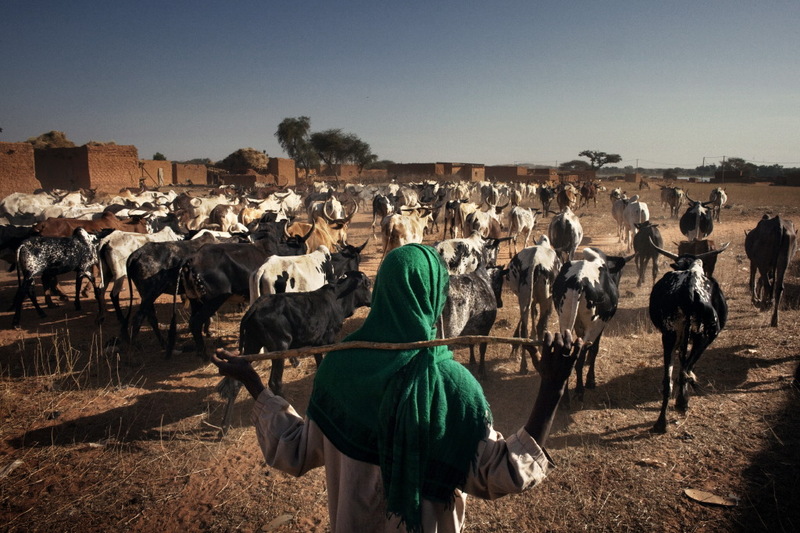 Sahel, Burkina Faso. View of the village of Bani. Sahel, Burkina Faso. A rest break in the village of Oursi. 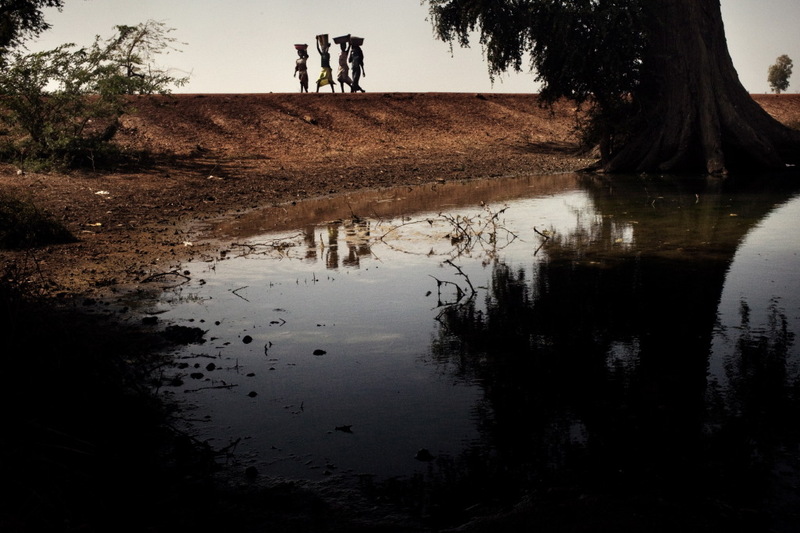 Sahel, Burkina Faso. 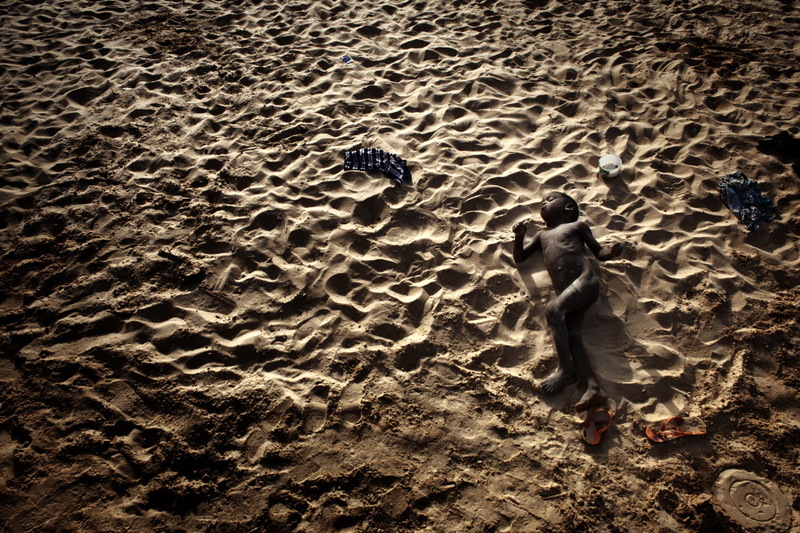 A child sleeps in the dried-up river bed on the road from Gandefabou village to Djibo. 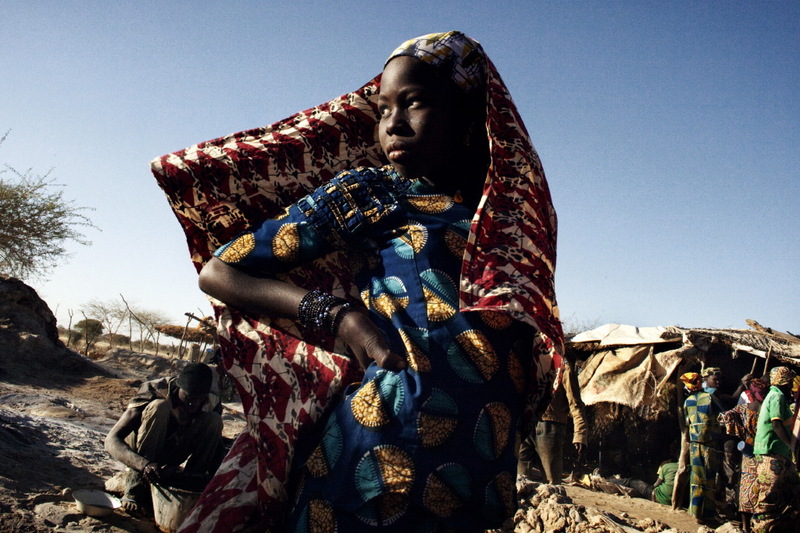 Sahel, Burkina Faso. Portrait of a girl in the village of Oursi. Sahel, Burkina Faso. Alhousseini, 6 years old, like many other children in Bani, works for the mine checking the stones extracted to find grains of gold. 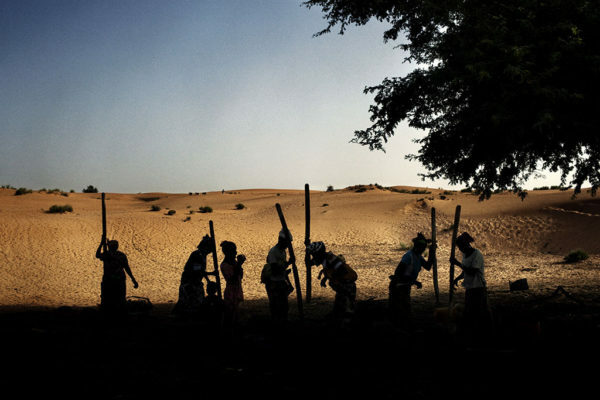 With the increase of desertification in the Sahel region, in Burkina Faso, entire families are employed in the gold mines, working in inhumane conditions and in complete absence of security measures, to escape from poverty. Sahel, Burkina Faso. Sana, 13 years old, in her hut at the village of Oursi. Sahel, Burkina Faso. Women along the way to the village of Markoye. Sahel, Burkina Faso. The village of Markoye. Sahel, Burkina Faso. Women washing clothes along the river of the village of Markoye. Sahel, Burkina Faso. Children fishing along the river of the village of Markoye. Sahel, Burkina Faso. 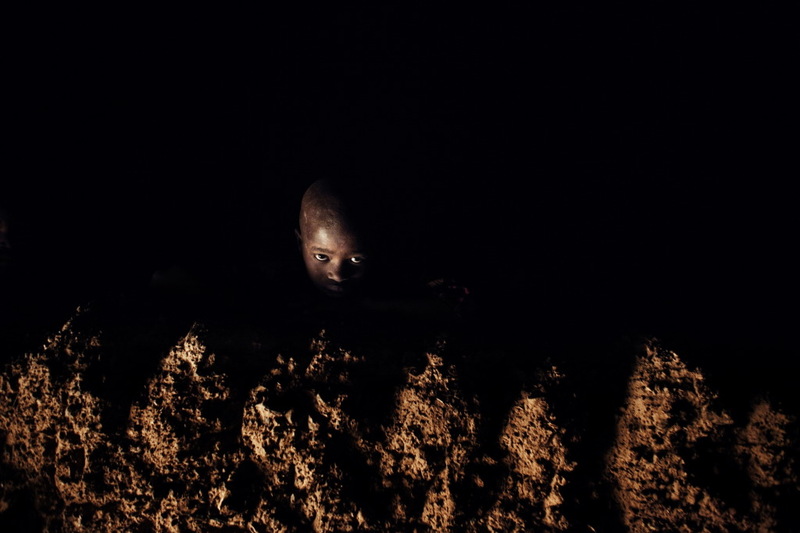 Simà, 16 years old, collects water near the village of Oursi. Sahel, Burkina Faso. Family playing and washing a carpet in Mare d’Oursi. Sahel, Burkina Faso. Family in a moment of relax along the Mare d’Oursi. Sahel, Burkina Faso. Girl at the village of Markoye. Sahel, Burkina Faso. A mother and her child at the entrance to the Bani mosque. 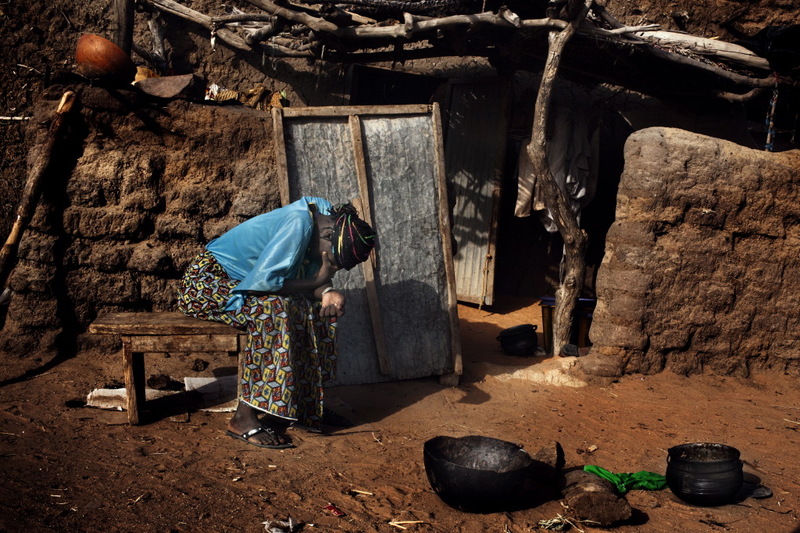 About 50% of the population in Burkina Faso is of Muslim faith. 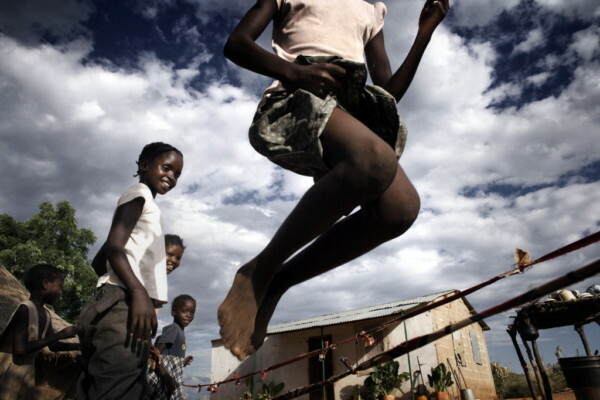 “Child survival in a changing climate” by Luca Catalano Gonzaga on Luoghi dell’Infinito, Italian magazine of Avvenire newspaper.